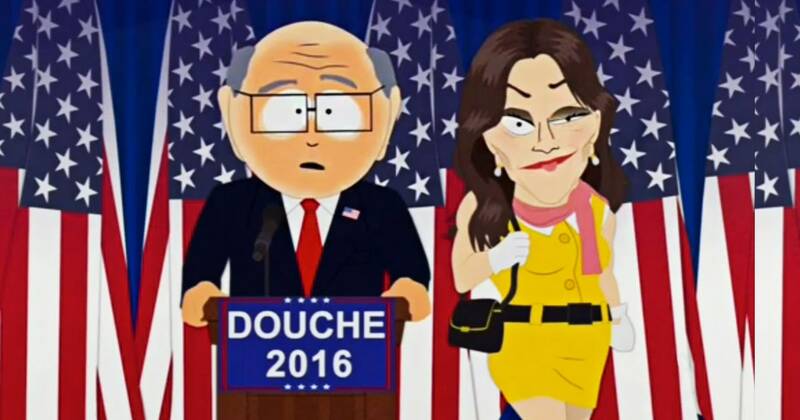 Ultimul sezon din South Park a fost un circ total cu Trump si Hillary clovni principali. 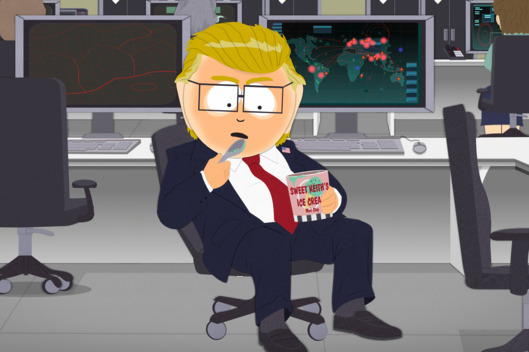 Teoretic cu Trump ca noul presedinte, creatorii South Park, Trey Parker si Matt Stone, ar trebui sa fie in culmea extazului cu tot materialul pe care il pot parodia, dar din pacate situatia nu va fi chiar asa. Intr-un interviu acordat catre ABC News, acestia au declarat ca o vor lasa mai moale cu glumele despre Trump, pentru ca a devenit prea complicat. It feels like it’s going to be more difficult.We’re having our head blown off like everybody else. They’re already going out and doing the comedy. It’s not something you can make fun of. It’s tricky and it’s really tricky now as satire has become reality. We were really trying to make fun of what was going on [last season] but we couldn’t keep up. What was actually happening was way funnier than anything we could come up with. So we decided to just back off and let [politicians] do their comedy and we’ll do ours.